As part of He Pou Aroha, Community Cenotaph the Auckland War Memorial Museum has created the ADUs to promote the redeveloped Online Cenotaph website. Online Cenotaph, developed by the Auckland War Memorial Museum in association with the Ministry for Culture and Heritage is a rich biographical database of New Zealand service personnel which provides a lasting legacy of the WWI Centenary commemorations. The ADUs provide an opportunity for members of the public to bring in a relative's items and then add images of them to that person's entry in the Online Cenotaph database. Items could include medals, letters, diaries, papers or photographs. The ADU contains a camera which takes a photo of the item and then it is uploaded to the Online Cenotaph database. A more detailed, step-by-step guide on adding contributions to the Online Cenotaph is available on the Auckland War Memorial Museum's website. Ref: Kelly using ADU, 14 April 2014, Auckland Libraries. Many of the records of World War 1 soldiers in Online Cenotaph include portraits from Auckland Libraries’ Herman John Schmidt Collection. 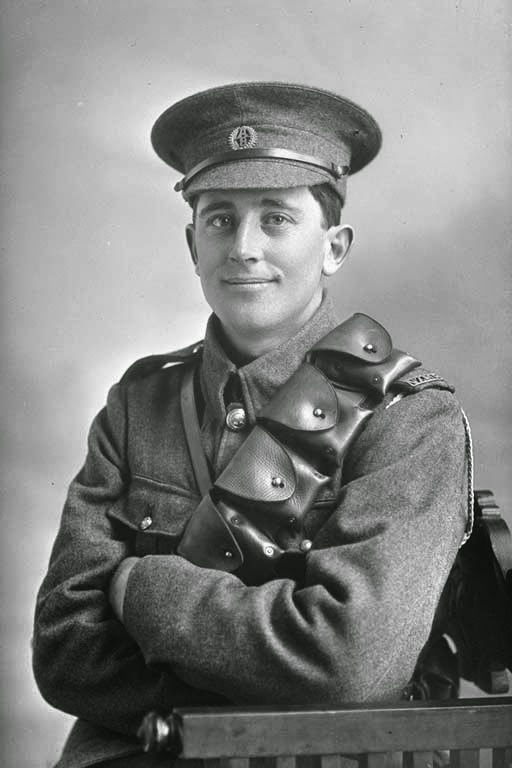 The entire First World War Soldier Portrait series can be found on the Our Boys website. If you would like to add further narrative content about a relative who served in World War 1, you can use Auckland Libraries' Our Boys website. This is not restricted to relatives who served in the army; it can include nurses, sailors and even people who were put in Internment Camps in New Zealand during the war. The Our Boys, Our Families Research Guide is a great resource for those looking to carry out some research into family members who played some role in the war. Ref: Herman John Schmidt, 3/4 portrait of Trooper Edward Bently Davies Reg No 13/2554, Auckland Mounted Rifles, 8th Reinforcements, 1915, Sir George Grey Special Collections, Auckland Libraries, 31-D365. If you're based in West Auckland, Titirangi Library will be hosting an ADU from Tuesday 21 April and will also be running a series of talks around caring for your family treasures and researching relatives who served in the First World War. 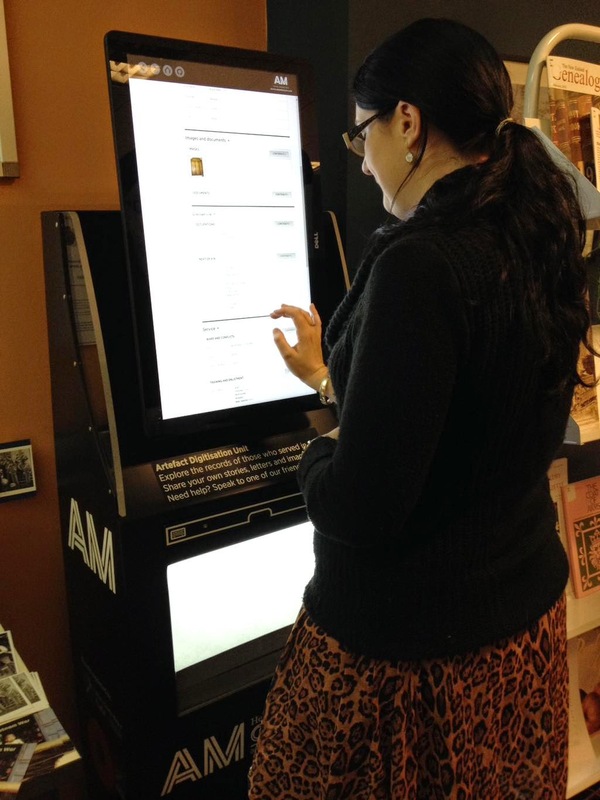 Keep a look out on the Auckland Libraries and Auckland War Memorial Museum websites for details of where and when the ADUs will be near you. If you can't make it out to an ADU or your item is too large to fit in the ADU or too precious to bring out in public you can always upload to the Online Cenotaph from the comfort of home, all you need is a device that can connect to the internet and take digital photographs. He Pou Aroha, Community Cenotaph project will officially be launched on 5 May at Pukekohe War Memorial Hall. 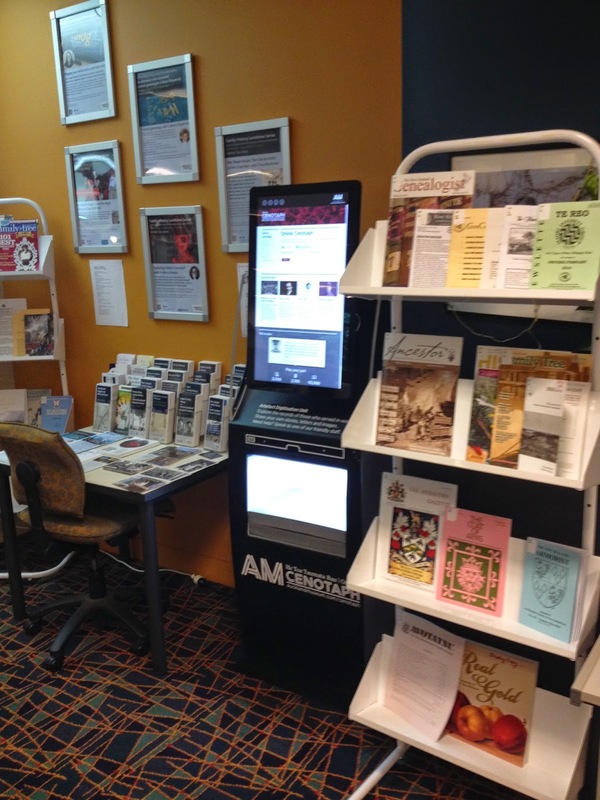 For a guide to Anzac Day events hosted by Auckland Libraries see our Anzac Day events guide.